Quality education can be a powerful agent for building stronger communities and bridges out of poverty. As the number of orphaned and abandoned children increase, their communities become less capable of addressing their basic needs, including their ability to access education. Education gives people more than the gift of knowledge. It allows them to acquire skills to effectively advocate for themselves and provides a way out from the cycle of illiteracy and poverty. The truth is, skilled, passionate, and hardworking individuals exist all over the globe. However, for many, opportunities to receive quality education and training are scarce, and in some parts of the world, non-existent. A recent United Nations report shows that orphaned and vulnerable children in developing countries are less likely to finish primary school, with Sub-Saharan Africa leading the way with the highest rate of children dropping out of school in the world. Poor health, social oppression, early marriage, lack of transportation and trauma are just some of the barriers that prevent successful completion of school among orphaned children, especially girls. In fact, 28 million girls between the ages of about 6 and 15 across Africa are not in school and many will never have the chance to ever enter a classroom. Recognizing this crisis in their own community, a group of Tanzanian women established Olof Palme Orphans Education Centre, which later became Bethsaida Orphans Education Centre, in 2005. Their vision was to address the barriers that prevent orphaned girls from becoming educated. Their vision was to provide a quality secondary and/or vocational education program along with free housing, food and counseling, so that these girls can have the best chance at succeeding. 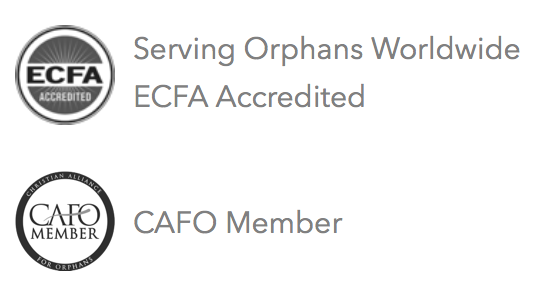 Today, Bethsaida serves over 160 orphaned and vulnerable girls from different communities in Tanzania. During their stay at Bethsaida, the girls will study English, Kiswahili, history, math, and several sciences. At completion, the girls will have the opportunity to participate in scientific activities, develop competitive analytical and problem-solving skills and advance to tertiary level programs. For many, even if they defy the odds and complete high school, they don’t see tertiary programs as a viable option. This is due to the high fees associated with tuition and supplies due upon admission. Without access to post-secondary education and vocational programs, they risk continuing to be dependent in adulthood, and potentially returning to the same harsh environments, without the skills or opportunities to change their circumstances. Bethsaida aims to change this. This past month, 16 girls from Bethsaida were selected by the Tanzanian government to attend an advanced level studies program. In addition, 10 students were accepted into public and private Vocational Training Colleges. Serving Orphans Worldwide is proud to support homes around the globe like Bethsaida, who are providing orphaned children with the opportunities that could potentially change the course of their lives, their communities and generations to come.